Showing 1 of 7 Slide(s). 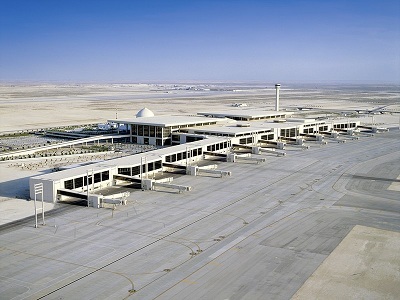 The King Fahd International Airport at Dammam in Saudi Arabia is the largest airport in the world, opened on November 28, 1999. Its facilities occupy 776 Square Kilometers. Official website: http://the-saudi.net/kfia.